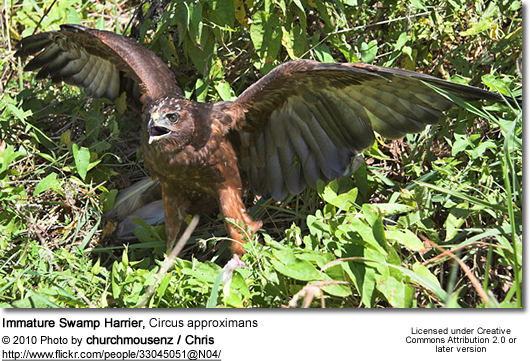 The Swamp Harrier, Circus approximans, also known as the Marsh Harrier, Australasian Harrier, Kāhu, Swamp-hawk or New Zealand Hawk is a large, slim bird of prey in the family Accipitridae. 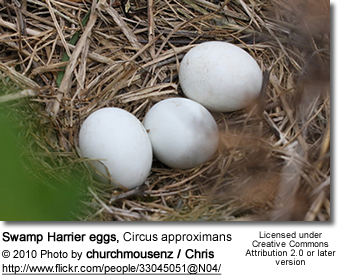 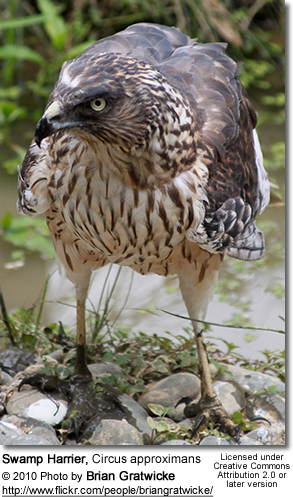 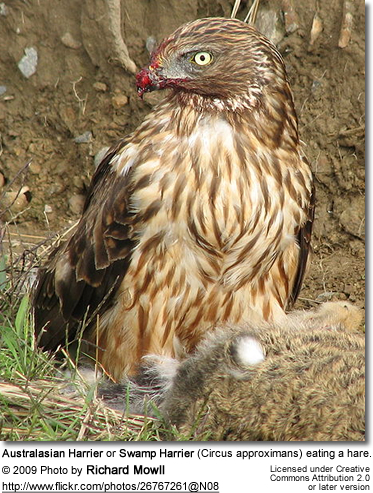 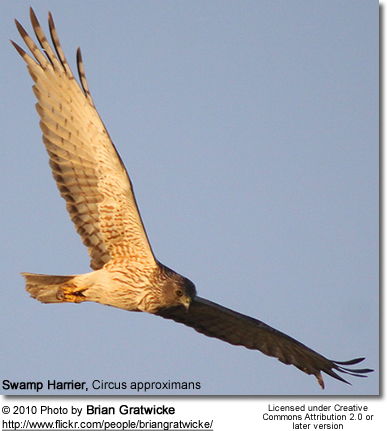 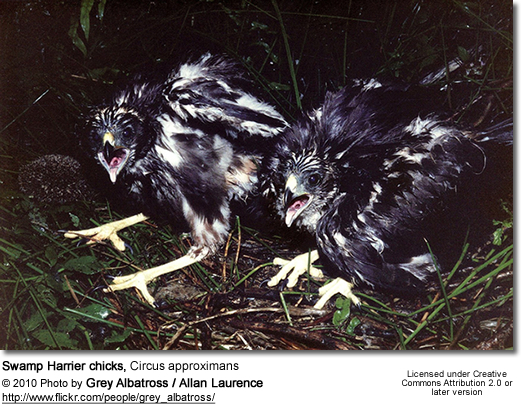 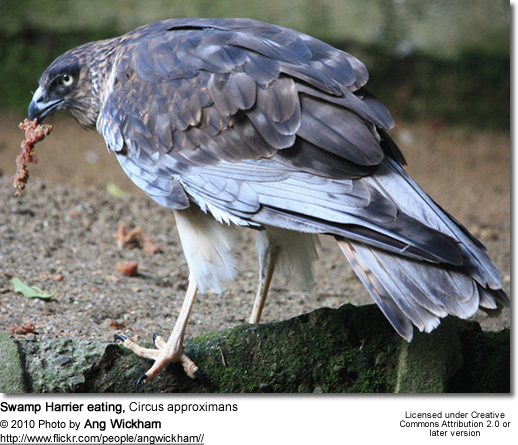 The Swamp Harrier is largely dark brown, becoming lighter with age, and has a distinct white rump. 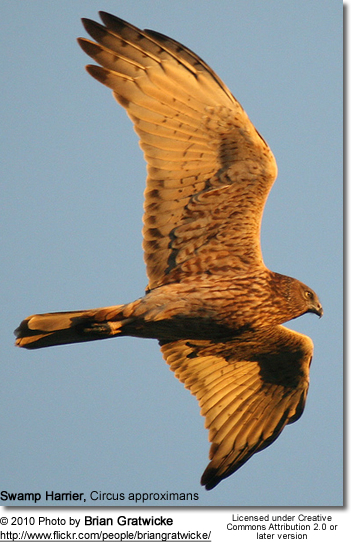 It hunts by flying slowly, low to the ground, on upswept wings. 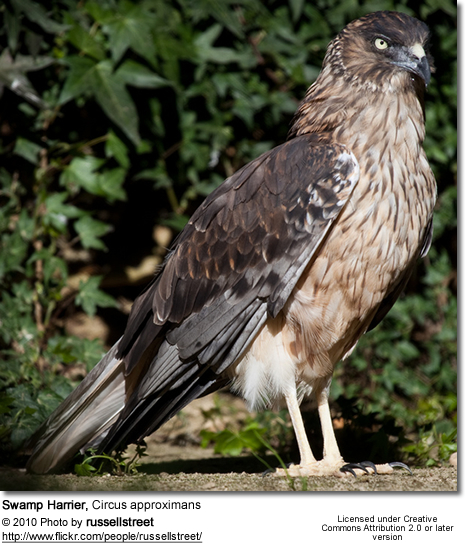 The body length is 50 to 60 cm, and the wingspan is 120 to 145 cm. 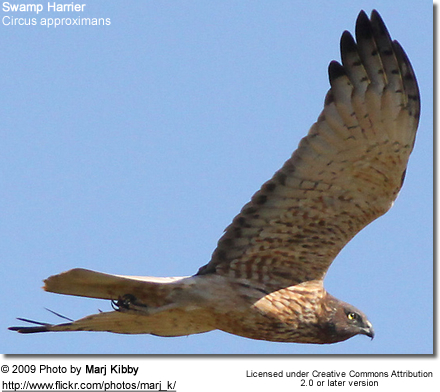 The recorded weights of adults range from 580 to 1100 g, and females are significantly larger than the males.